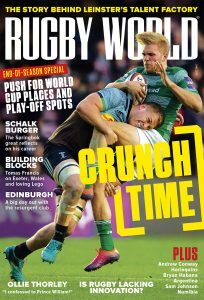 The Autumn Series is nearly upon and and we don’t need reminding that the Rugby World Cup is only 10 months away. Ahead of us is an epic month of rugby. Featured above are four videos from Guinness that bring alive the emotion, drama and human stories of our great game. In the first, entitled ‘Mind over Matter’, features a man who doesn’t need a surname, just ‘Shane’. Yes, Shane Williams overcame a diminutive size in a world of giants to become one of the greats of the game and he went on to score 58 tries in 87 appearances for Wales, a try-scoring record that puts him second in the all-time try scorers in Tier 1 countries behind David Campese. In the second, it’s ‘David v Goliath’, as Munster‘s 1978 heroes took on the might of the All Blacks, and came away with an emphatic 12-0 win to put the game at the top of the list in Thomond Park‘s folklore. The third short film is named ‘Merci’ and is commentated entirely in French, with subtitles. It is a eulogy to one man, ‘Sir’ Jonny Wilkinson. A man loved in England and adored in Toulon. All they can say is ‘Merci Jonny’ and it’s hard to disagree. The final footage is come from a man whose colourful language still fills clubhouses up and down the country. Bill McClaren overcame the personal disappointment of turberculosis ruining any chances of playing for his beloved Scotland to become the voice of rugby.